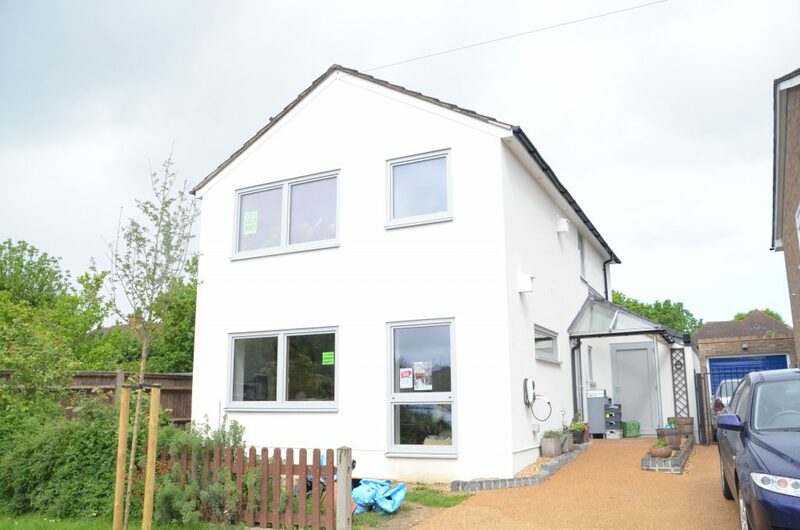 The Eco House – This eco-friendly home was refurbished in a 9-month period to achieve the highest possible standards of environmental sustainability. The original house was a 1970 brick built house constructed with a cavity wall but suffered from a number of cold bridging faults. 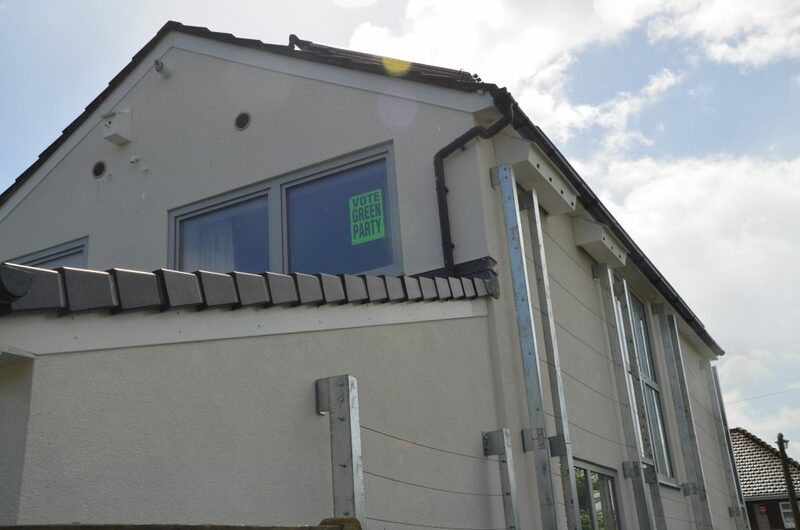 The client instructed Clive Wren Architects to design the modern solution to solve the cold bridging problems and achieve a high level of air-tightness. The external walls were clad in 200mm of external wall insulation which was taken down to the foundation level. The windows and doors are triple glazed. The existing roof area was sprayed with spray foam insulation to ensure that the building was fully insulated. 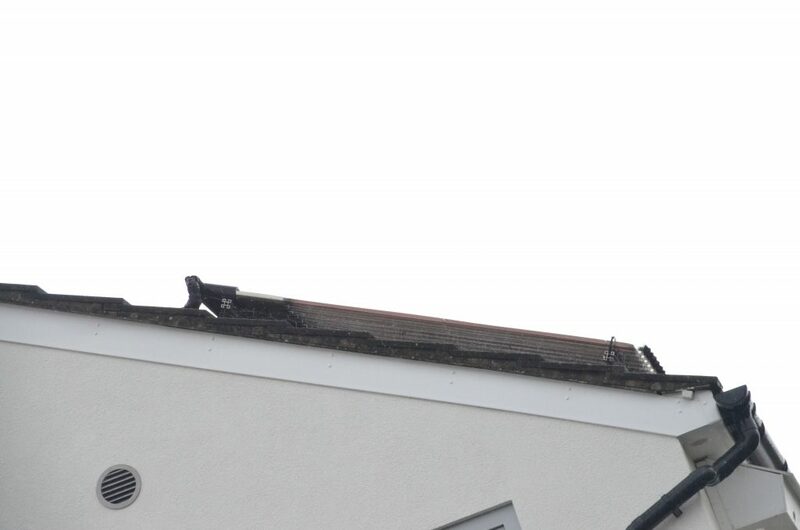 The roof of the house has an array of solar PV and solar thermal panels which provide power and heat to the house. 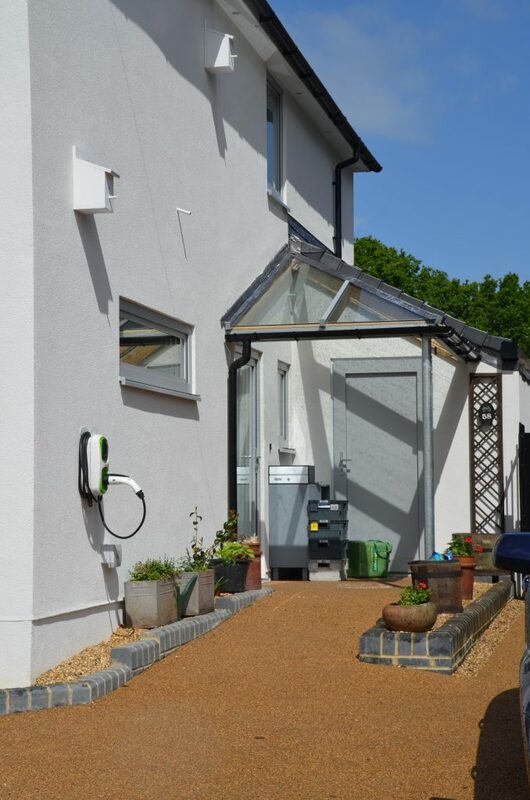 The house has been rewired with low voltage led lighting and low voltage power circuits are fed by batteries which are charged by the solar PV. A mechanical heat recovery air handling unit, which provides fresh air and ventilation. On the west side of the property the natural daylight floods into the building via a 2-storey window lighting the hall stairs and landing. Rainwater is collected from the roof area and is stored in an underground tank. The water is then pumped into the house for use in the washing machines, toilets and for garden irrigation. The main drive way has been re-laid with Rona-deck resin bound paving to allow rainwater to soak back into the soil. A number of biodiversity measure have also been introduced to the property these include bird and bat boxes. 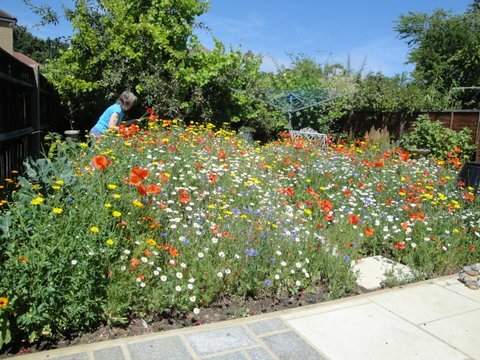 Plant climbing frames natural and natural meadow planting. Internally; sustainable products were sourced for the flooring and finishes and fitting were recycled form other projects.